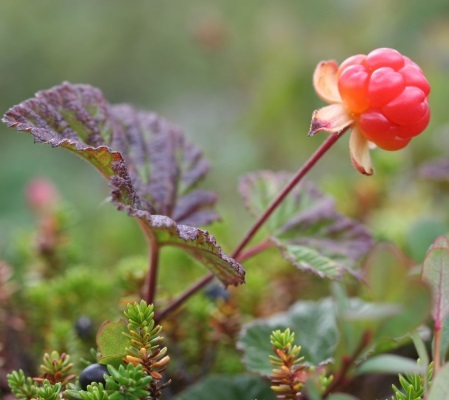 wildly grown all over finland, cloudberries are able to survive extreme temperatures, thus producing high amounts of vitamin c. the extracted oil of cloudberries is stocked with natural skin strengthening properties. benefit: with the vital fatty acids (omega 3 and 6), linoleic and alpha-linolenic acid, and antioxidants combined, the oil fights off free-radical damage. aiding in more than just maintaining and moisturizing the skin, essential fatty acids work to improve moisture retention and skin tone, diminish age spots and reduce inflammation. cloudberry seed oil is also rich in antioxidants and are 20 to 40 times more effective than more commonly used ones like vitamin e.